The following article was originally published by the Serbo-Croatian online platform, Bilten. It is republished here with that site’s kind permission. Almost as shocking as the news of the targeted expulsion of 10 pregnant women mid-2016 from a textiles factory in Kriva Palanka, a town in north-eastern Macedonia, was its coverage in Macedonian media: “Pregnancy has expelled 10 female workers from their jobs”, stated one, bringing the attention to the body/reproductive condition of the female worker, and misplacing in the process the focus and responsibility away from the employer. In this case it was a textile factory called “Weibo”- a Turkish-Chinese foreign direct investment- attracted by the government’s flagship policy aimed at making the country a conducive environment for business, through the change of investment, labour and property laws. That drive, in effect, has led to the super-exploitation of the female worker euphemistically described in neoliberal discourse as a “flexible/elastic” workforce. 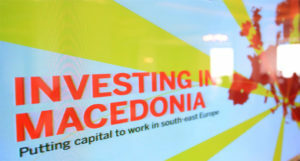 That flexibility in the Macedonian context refers to provisions such as the legal allowance for the employer to pay a minimum monthly net wage of 101 euro in manufacturing industries such as textiles, where 96.8% of total employees are women; arduous overtime hours and extreme conditions (Bonfiglioli, 2014); the non-provision of social security protection, with lay-offs of pregnant workers used as a frequent mechanism for cost-savings. The case with the latest layoffs in Kriva Palanka is hardly a unique one. The Helsinki Committee on Human Rights reports frequent practices of women being asked at job interviews about their plans for forming families and pregnancy. Additionally, last year, many women had reported to the Macedonian Association of Young Lawyers (MSMP) that they lost their jobs because of pregnancy. Technically, this had been made possible through the simple non-extension of short-term contracts (1-3 months in length), which are usually given to workers. Thus, the Law for work relations (Zakon za rabotni odnosi-ZRO), which forbids the layoffs during pregnancy (act 101, page 1 from ZRO), is not applicable to cases where employment contracts are made for a determined short period of time. In those cases, the employer can simply wait for the contract to expire (act 101, page 3 from ZRO), which would automatically render the law inapplicable. It was, however, on March 3rd this year that the legality of such actions started to be seriously challenged when the Basic Court in Skopje 2 brought for the first time a ruling in favor of a female worker, finding that it was “discrimination and unequal treatment in relation to a personal status, family, marital status or pregnancy” that had brought about the termination of employment of the pregnant worker. The ruling found that the non-extension of the contract amounted to a purposeful expulsion due to the woman’s pregnancy status, as there was an intention on behalf of the company to keep the worker for a longer time period before they had heard about the pregnancy, and the financial conditions of the firm were not an obstacle for realizing this. The Court ruling referred to act 14 of the European Convention for Protection of Human rights, and Protocol 12 from the Convention and Law for the prevention and protection from discrimination. Unsurprisingly, the ruling was considered to be of great significance. The lawyer Sofija Bojkovska who led the winning case back in March was optimistic that the ruling would bring about two key changes: firstly, that it would deter or prevent employers from laying off pregnant women for fear of having charges pressed against them; and secondly, that it would encourage female workers to take legal actions themselves and not be afraid to have children for fear of losing their job as a result. 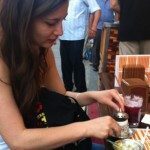 As the first case in Macedonia that ruled for discrimination on the basis of pregnancy, it undoubtedly marked a positive shift in the fight against one of the aspects of gendered workplace discrimination and exploitation. However, the reality of the neoliberal socio-economic context makes it unlikely that the case will bring about a radical change to the status quo. Indeed, the ten latest layoffs in “Weibo” in Kriva Palanka, demonstrate that a single successful case is not a sufficient deterrent for employers, who on balance may find it more “cost-effective” to continue the practice. Indeed, in a context where the extraction of maximum profit is a priority, and the change in practice would only come if it became more costly for the capitalists to lay the female workers off than to save money from having to pay for maternity leave. However, it is at present inconceivable that the number of cases that will be brought against the employers will present a tilt toward the latter. It remains to be seen what the laid off-workers from “Weibo” will choose to do, but the odds are in favor of the employers. The likelihood of inaction is not only the result of a lack of knowledge about workers’ legal rights. Indeed the latest available figures from a study by Reaktor in 2010 found that about a half of the women surveyed answered that they knew the rights of pregnant workers. More important in deterring women from possible legal action is the combination of the socio-economic conditions and the lack of sufficient institutional, legal or labor protection. Firstly, the necessary quality of legal support and effective legal mechanisms for protection are absent given the total number of transgressions. Even in those cases in which workers do decide to proceed with legal action, they are faced with numerous consequences afterwards, such as unwillingness on behalf of other employers to offer them a job. Given the limited opportunities for work most women face in their towns or villages, such ostracizing is very likely. Indeed following the layoffs in Kriva Palanka, women workers were fearful of talking to activists or giving public statements, stating as one of the reasons the fact that there are only 2 factories in the town (one is Weibo, the other is an Italian shoe factory), and those who are fired often look for jobs in one or the other, large parts of them have often rotated at least once. Making a legal claim against one employer might eliminate their chances of being employed by the other. This fear is understandable in a country where the official unemployment amongst the wider population is 29,9% (out of them 61,4% are men, and 38,6% women, unofficially these numbers are likely to be even higher). As evidenced in the documentary The Seamstresses about textile workers in the city of Shtip ““Women in particular avoid anything that could jeopardize their job because their families depend on their income to survive” (2012: 12). Finally, union protection of women and their participation in trade unions (with none existing in the textiles or leather industries, which are primarily female) is far lower than average in a context of already weak labor movement activity, where trade union leadership is perceived as corrupt, concerned with personal interests and under political influence. Indeed, according to “Glasnost,” an organization formed by and in defense of workers in the textiles and leather industry in Shtip, union membership, where it exists, serves only the purpose of collecting membership fees from the members. “Glasnost” activists also speak of the opening which may be presented by a new law on “Protection of whistleblowers”, which came in force in March 2016, and describe informing workers about the latest law and monitoring its implementation as one of their main initiatives. These approaches, however, at the same time show the limited space in which the struggle for labour rights has been pushed. The existence of laws on their own is not sufficient for the restoration of the balance of forces on the one hand between the joint forces of exploitative capital and the state, and on the other hand precarious workers in a context of socio-economic degradation and a dire state of trade union protection. What is more, beyond protesting instances such as the layoffs of the 10 women in Kriva Palanka, a meaningful strategy must tackle the deeper preconditions for the situation of women workers in the country. And that requires a response, which, in parallel to addressing capital’s offensive in the workplace, also addresses the double offensive in the household and private life of the women, perpetuated centrally by the state and promulgated throughout society, resulting in a double exploitation, at the work place (for those that work) and in the home for the rest. What is more, this situation takes the biggest toll on the most vulnerable women coming from the most precarious sections of the working class. Indeed as the state has rolled back on its provision of health, education and social services, women have been left doing most of the care work. This practice, where the peripheral neoliberal state puts itself in the service of international business, thus acting as a disabler of the freedom of reproduction, reveals not only a variant of capitalist exploitation, but also a capitalist contradiction. 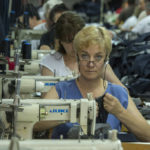 Namely, as Bhattacharya points out, “capitalism needs women both as workers and as housewives who reproduce new workers,” but, in the capitalist periphery, where its freedom is brought to neoliberal extremes, it limits or destroys the freedom and material conditions for women to produce new workers. What is more, in the case of Macedonia, it reveals a huge schism between, on the one hand, neoliberal practices, and on the other, nationalist/traditionalist/patriarchal rhetoric focused on natality and aimed at strengthening the “motherland” through the reproduction of its subjects. Indeed, the best way to highlight the contradiction between what the government says and what the government does, is to point to the fact that exactly in the period when the Strategy for Safe Motherhood was implemented (2010-2014), the lethality of newborns has increased from 7,5 in 2011, to 9,9 in 2014. In 2012, over the course of only one year, the number of deceased newborns rose by 25.2% compared to the previous year. Expectedly, although present across the ethnic board, mortality of newborns in this period rose the highest among the Roma and the Albanian population. This has resulted in the economic inactivity of 61,184 women, who are neither employed nor actively seek work. In addition, the study found that 42,3% of those surveyed believe that if the family has children or takes care of older family members, it doesn’t pay off for the mother to work as it would be more expensive to pay care than let the woman take over this responsibility. The absence of public discussions on the topic makes it invisible, and generation after generation is left for women to solve on their own as they best can, instead of through the provision of adequate public services (kindergartens, public school, public health, public care homes and equal pay for women). Thus, we can ask the question as to the state’s role in supporting the double oppression of women through its inaction. Moreover, the problem is even greater if we take into account that this double oppression and its perpetuation is most widespread and most severely affects the most vulnerable women – those coming from the most precarious sections of the working class. When the state limited its health, educational and social provisions, most of the burdens fell on women’s backs. The governing party DPMNE’s traditionalist, allegedly “pro-life” approach brought anti-abortion Government campaigns; restrictions of the Law on Abortion in 2013, and finally a government campaign aimed at increasing the natality in the country, offering financial support for a third and a fourth child in a family. In reality, many families resort to having three or four children simply in order to qualify for the financial assistance because they rarely have access to any other means of survival.